=> This is the simplified website. 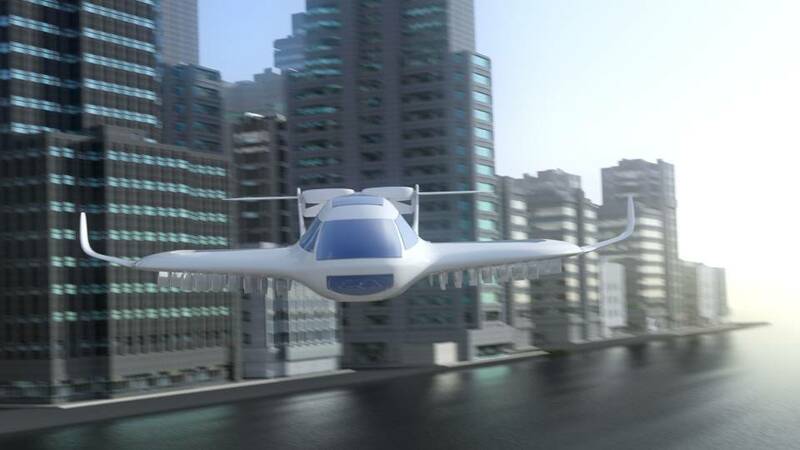 The Ray aircraft can take off and land vertically. It needs no runway - like a helicopter. 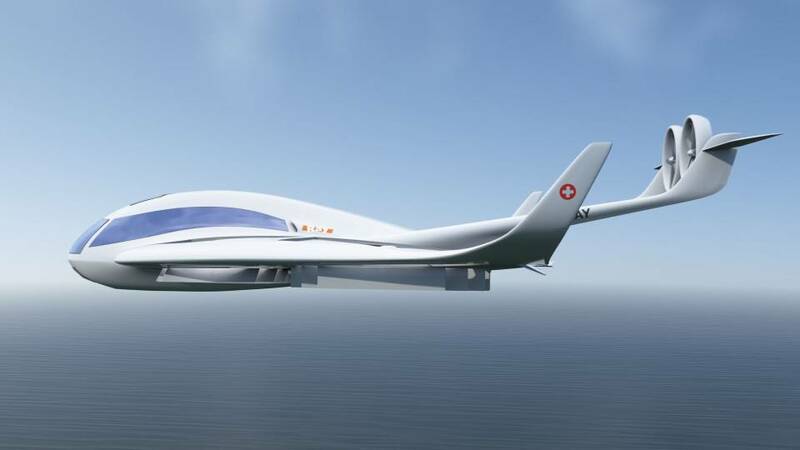 The first series of Ray aircraft is designed for 4 passengers and one pilot. The lift for vertical take off and landing is generated by the four wing-fans. For cruise flight the wings get closed. 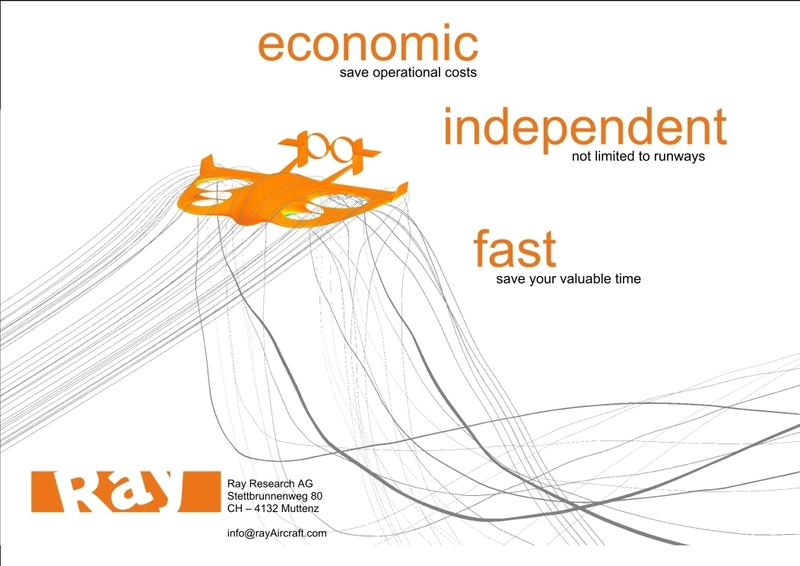 The Ray aircraft is as independent as a helicopter (=no runway needed) and almost as economic as a conventional aircraft. This results in an extremly independent aircraft with a fast cruise speed and a long range for an acceptable price. 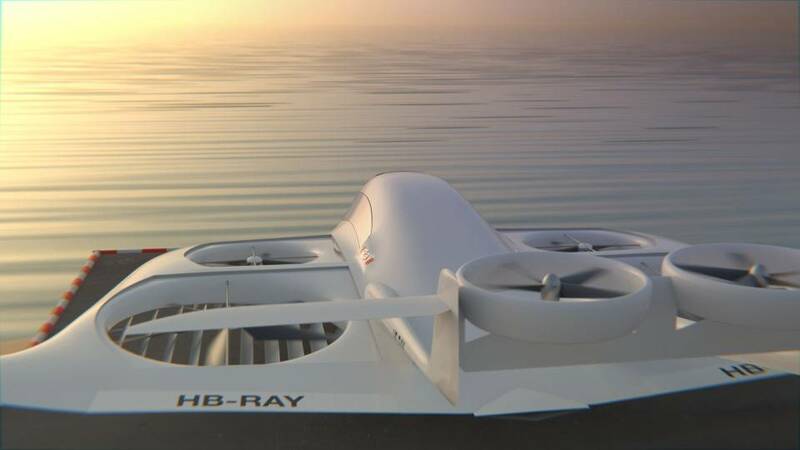 The Ray design uses four big wing-fans to create the lift for hover. 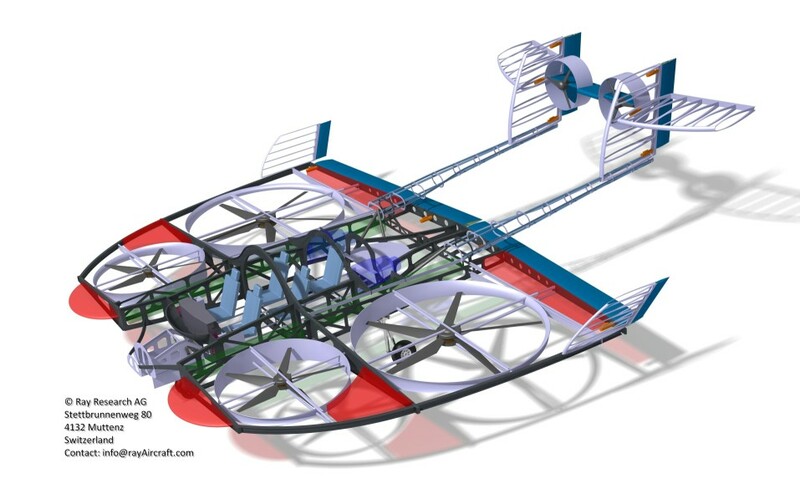 It is a fan-in-wing design specialized as a quadrocopter and enhanced with tilt-ducts at the stabilator. Each wing encases 2 relatively big fans arranged behind each other, which leads to an exceptional deep wing and a low wing loading. When high enough the two tilt-ducts in the back are tilted to horizontal and accelerate the Ray aircraft. As soon as the wings fully support the aircraft we close them and fly almost as efficient like a conventional aircraft. The Ray has further improvements for control, security, economy and performance not explained in detail on this website. 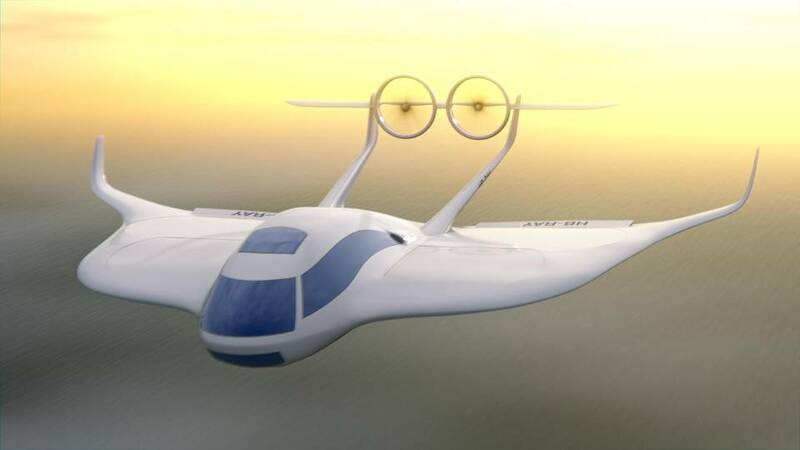 Fan-in-wing designs enclose all hover components in an aerodynamic way in cruise flight and therefore are likely to fulfill the promise for an efficient cruise flight. The Ray design uses tilt-ducts attached to the stabilator far behind the center of gravity for a thrust-vectoring control around the lateral axis. This enables perfect control of the angle of attack in slow flight and especially in transition. Some more details about the Ray technology you find in our patents or in our paper we published in 2010. The layout has evolved since then, but the explained concepts are still valid.